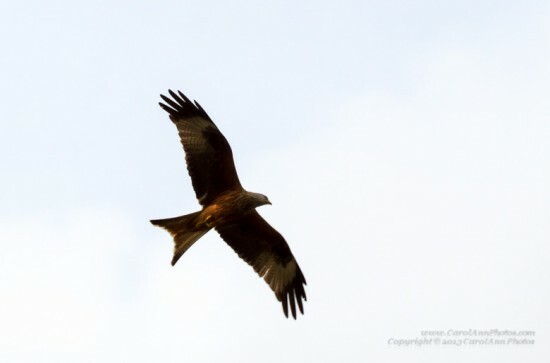 I’ve recently been working in High Wycombe and am absolutely fascinated by red kites as you don’t see them in Northamptonshire. I always start looking for them once I pass the Oxford Services, and by the time you reach junction 5 at Stokenchurch you are almost guaranteed to see them flying above the M40 motorway. However, even though I took my camera with me for several weeks I was unable to catch a kite at a reasonable distance, despite turning into the park and ride or Asda car parks as they wheeled above. 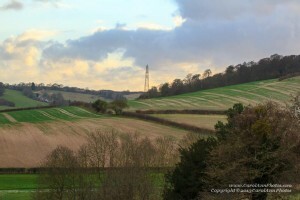 So, on the penultimate day I packed my 70-200mm lens and the Canon 7D and hoped for good weather on the way home. I did ask my colleagues for the best place to go and park, and they suggested the hill at West Wycombe. Perhaps I should have asked for more directions, as I parked in the wrong car park and climbed West Wycombe Hill toward the Dashwood Mausoleum in office clothing, light trainers and a full camera pack! 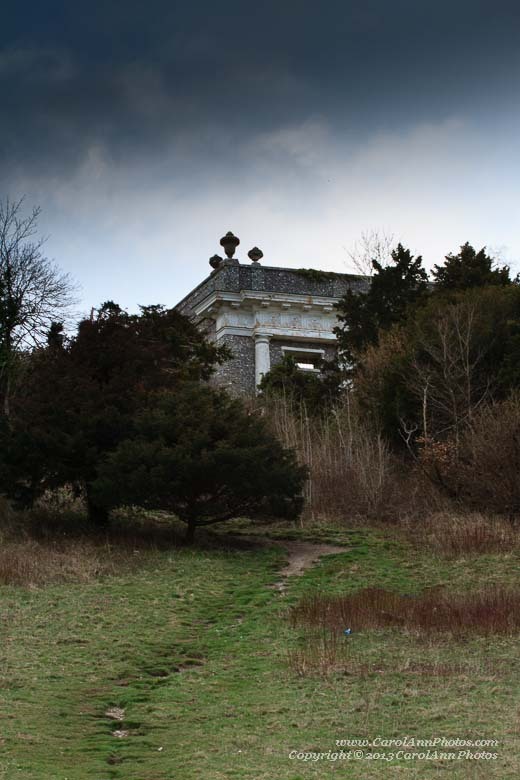 This is the Dashwood Mausoleum from the small flat piece of ground I found on the hill to try and capture a good picture of the birds, and the second shot is one I took on the climb back down: the rolling hills and farmland of Buckinghamshire. I took more than 30 shots of the birds, who did not oblige by flying low over the hill, but have kept only 3. My favourite is below. When I went into work on the final day, I showed this image to my colleagues. They then told me I’d used the wrong car park: I’d missed the small turning which takes you to the very top! 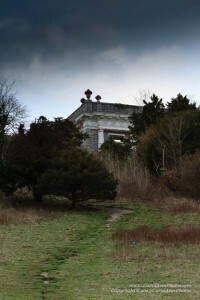 Ah well, next time… I really want to have a better look at the Mausoleum, which was where the Hell Fire Club met.